Adam Royle won his fourth straight Super Late Model feature at Raceway Park on Sunday night and Mark Bronstad from Rockford MN won the 8cyl enduro on Memorial day. Billy Mohn won the SLM race at Elko on Saturday night. Kurt Busch was the big winner at the Coke 600 and Dario Franchitti drank the milk at the Indy 500. Here is an example of our race call from 2008, Jason and Dean with Zach Davids doing color on Jacob Goede winning a heat race. 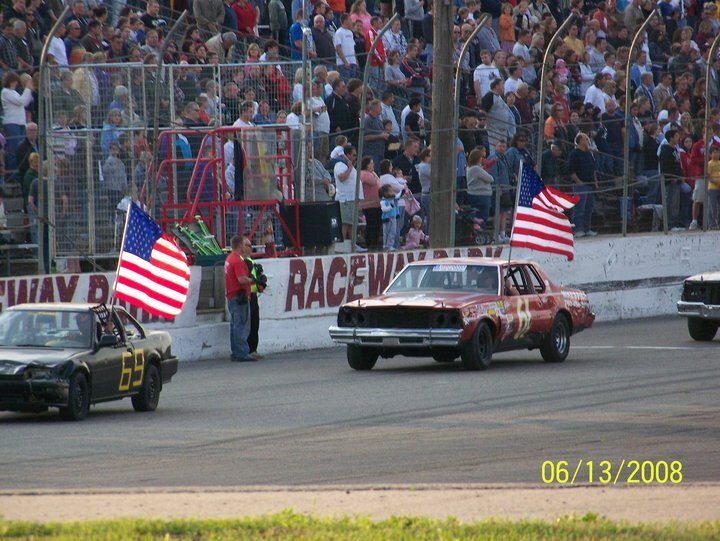 Michael will be racing in the CHUMP CAR endurance road race at Brainerd International Raceway on June 5th & 6th. 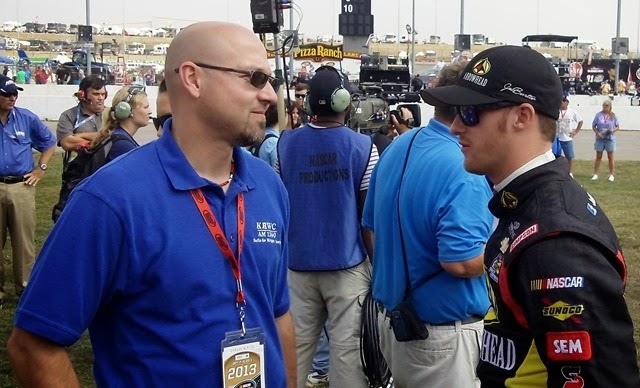 Dan Plan from the Midwest racing connection will be talking local racing and Jordan Bianchi from http://www.theracinggeek.com/ will preview the BIG Indy Car and NASCAR double header on Sunday! 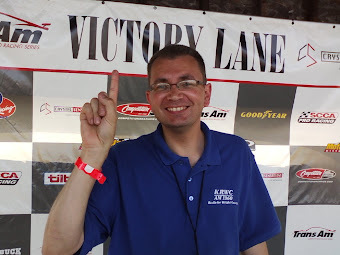 Its also our one year anniversary of "Speedtalk" on KRWC radio .... we will have some trivia and give out FREE tickets to Raceway Park in Shakopee. Ross Kenseth wins at Elko on Saturday night, he will be back on June 5th for the ASA Midwest tour race. We will broadcast that race on http://www.krwc1360.com/ if you cant attend. Adam Royle won at Raceway Park on Sunday. Great interview with Gary Curtis from BIR Performance Driving school. 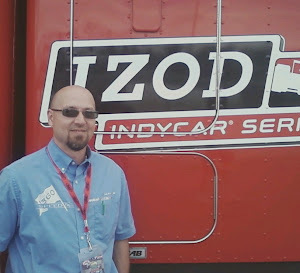 He is offering a special for any "Speedtalk" fans, just mention you heard him on Speedtalk radio and he will give you 15% off any driving school THIS MONDAY (May 24th). They have many different packages for the novice or advanced drivers. or Call (866) 511-7606 ... Tell them you heard about it on "Speedtalk radio" and get the discount! Jordan was right again! Kurt Busch wins the NASCAR All-Star race. Just got the word that the "Hideaway Speedway" in Isanti season will begin June 12th. Call Darin Nelson (763) 267-9161 for more information. 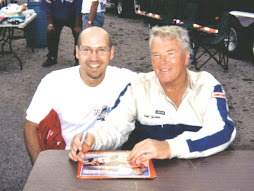 Gary has many racing accomplishments on his resume including a championship in the American Le Mans Panoz GTS Pro series in 2001. 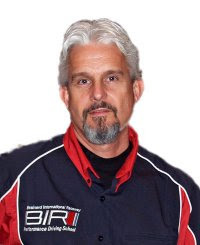 You may have seen him race on Speed Channel, he now is the lead instructor and driving school director for the BIR (Brainerd International Raceway) performance driving school. 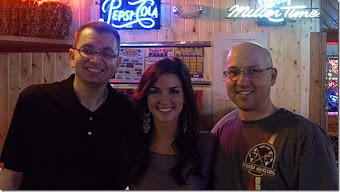 Jordan Bianchi from http://www.theracinggeek.com/ will talk NASCAR with us and Dan Plan from http://www.theracingconnection/ shares the local racing news too. Ross Kenseth just confirmed that he will be racing at Elko Speedway (MN) this Saturday night (May 22nd) in the Super Late Model divison. 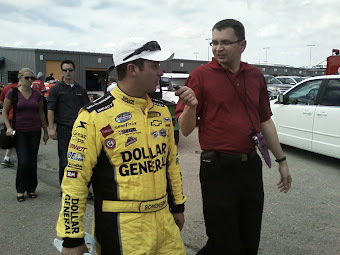 Ross Kenseth is the son of NASCAR driver Matt Kenseth. He won a ton of BIG 8 series races last year and really turned some heads. 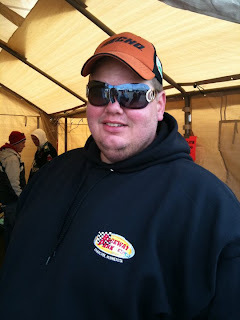 This year he is racing full-time in the ASA Midwest tour series in 2010, he finished second place in the season opening event at Madison WI a few weeks ago. We interviewed Ross last fall, he was soft spoken, just like his dad. He explained why he is number 25 (adding his dad's to race car numbers 17 + 8 = 25). He no doubt is gathering information for the big ASA Midwest tour race at Elko coming up on Saturday June 5th. 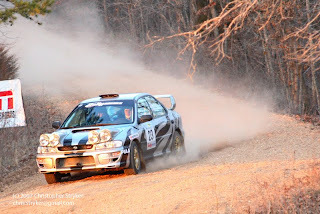 If you are unable to attend, Dean and I will broadcast that race on http://www.krwc1360.com/ from 7-10pm. 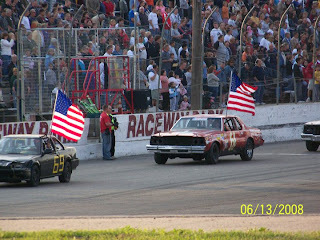 *Above picture is Ross Kenseth in victory lane at Rockford Speedway. Ron Krog was a great interview, he mentioned that Chris Stepan will be doing much of the announcing at KRA in Willmar now. Ron will continue to be the P.A. 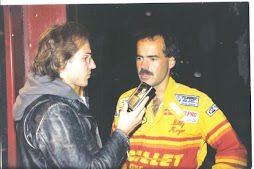 announcer at Buffalo River, Viking Speedway, I-94 in Fergus Falls and will start his announcing gig at the newly remodeled West Fargo track on Wednesday nights. 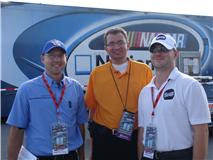 Speedworksdiescast.com contest Jordan got it right, Kyle Busch was the winner at Dover. MN Driver Chris Marek won the ASA Midwest tour Sportsman tour race at "the Dells." 19 Super Late Models at Elko and Danny Fredrickson won. Adam Royle won the SLM feature at Raceway Park in Shakopee. 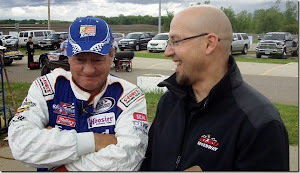 Ron will talk about the opening nights at both KRA Speedway in Willmar and I-94 in Fergus Falls (which has now re-opened as a dirt track). 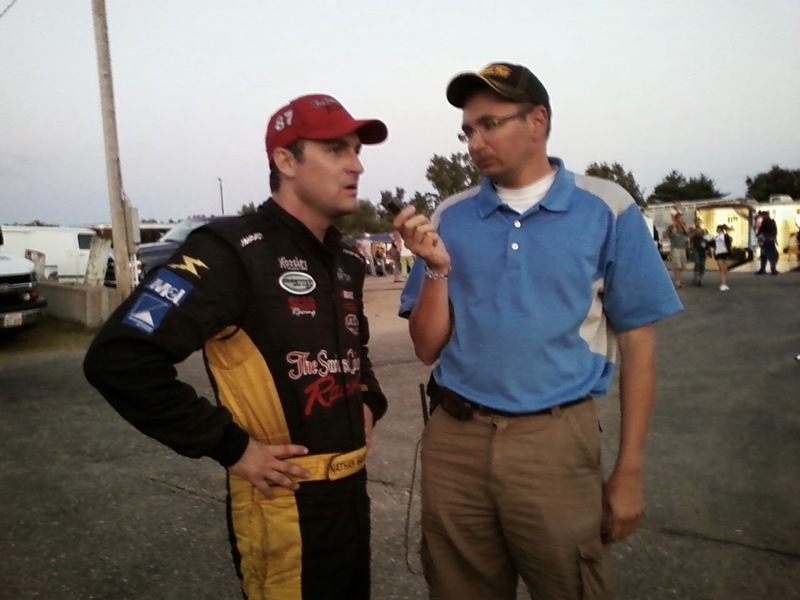 He also can recap the exciting Fall Classic at Viking Speedway and pass along some news on the West Fargo track. 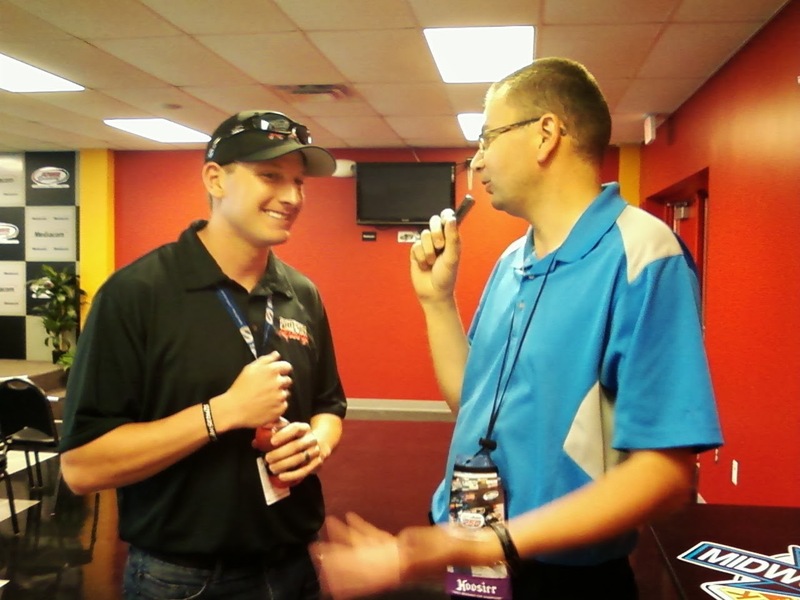 Jordan Bianchi from www.theracinggeek.com will talk all things NASCAR and Dan Plan from www.theracingconnection.com will keep us up to date on local racing too. The Mark Bronstad interview on "Speedtalk on 1360" went great! Here is a link to the pod-cast of our conversation. Denny Hamlin won the NASCAR race at Darlington SC. Donny Reuvers won the Super Late Model race at Elko Speedway, Matt Ostdiek won in the Great North Legends. 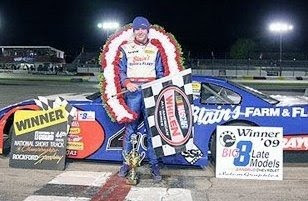 Adam Royle won the SLM feature at Raceway Park. Many racetracks in MN were rained out, including: KRA, Viking Speedway and Ogilvie. Mark has won a feature in the "figure 8" division the last two weekends at Raceway Park in Shakopee (MN). Also featured on the show this week: Jordan Bianchi from www.theracinggeek.com will talk all things NASCAR and Dan Plan from www.theracingconnection.com will have a first hand account of the exciting ASA Midwest tour event that took place last weekend in Madison WI. Jake "the snake" Varnum gave us lots of great information about the Formula SAE challenge. 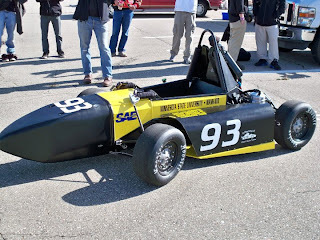 We will keep you up to date on how the Minnesota State Mankato mechanical engineering team does at Michigan International Speedway. Jerry Niesen of Buffalo was the call-in winner of tickets to Raceway Park in Shakopee, keep listening for your chance to win. Kyle Busch wins by passing Jeff Gordon in the closing laps at Richmond. Jason picked the winner for the second week in a row and he leads the http://www.speedworksdiecast.com/ fantasy NASCAR challenge by 5pts over Dean and Jordan. Steve Anderson wins the Super Late Model race at Elko on Saturday night. On Sunday Steve Carlson won the Joe Shear Classic 136 ASA Midwest tour race in Madison WI.